A customer favorite returns with an all-new look. 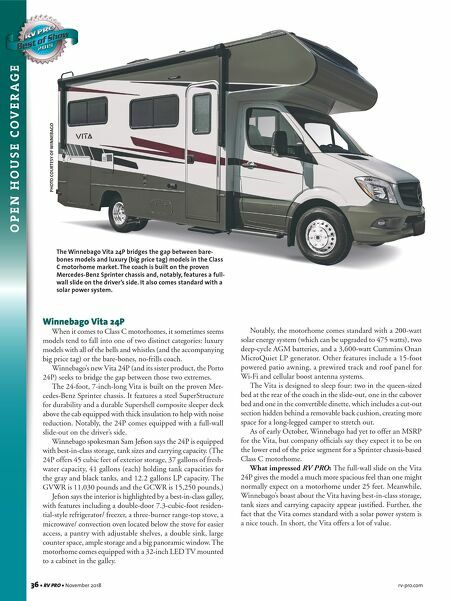 Good news for RV buyers looking for high-end amenities in a gas-powered coach: The Adventurer ® is back! Five affordable, family-friendly floorplans offer plenty of living space and ample storage, and include deluxe features like full- body paint, Corian ® countertops, Primera ® -covered furnishings, and an integrated dash workstation. Factor in our time-tested SuperStructure ® framework, outstanding build quality and more than six decades of RV- building expertise, and you'll see why your customers will be as excited about the new Adventurer as we are. 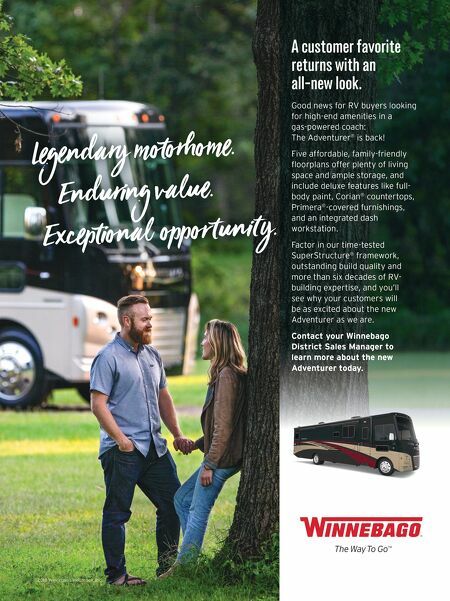 Contact your Winnebago District Sales Manager to learn more about the new Adventurer today. ©2018 Winnebago Industries, Inc. Legendary motorhome. Enduring value. Exceptional oppouny.